There are three constants in life: Death, taxes, and no allowing proper nouns in Scrabble. But that is about to change. Mattel has announced it will sell a new version of the classic board game that will, for the first time in history, allow players to count the names of people, places, companies and brands. A spokeswoman for Mattel told BBC News that allowing proper nouns would "add a new dimension" to the game that would "enable younger fans and families to get involved." A triple word score for rapper Jay-Z, for example, would net the player 69 points. But CNET's Daniel Terdiman reports that the executive director of the American Scrabble Association, John Williams, told him the news is not true. Williams said in a phone interview that what's happened is that Mattel, which owns the rights to Scrabble in England, is going to release a completely new version of the game there called Scrabble Trickster, in which anything goes, including the use of proper nouns, spelling words backwards, stealing letters, and so on. It's nothing more than a PR ploy by Mattel, Williams suggested. Mattel has since confirmed that the new version will in fact be called Scrabble Trickster. Hasbro, which owns the rights to Scrabble in the United States and Canada, did not immediately respond to requests for comment. The game was invented in 1938 by New York architect Alfred Butts, rights to the board game in which letter tiles are use to spell words were later sold to entrepreneur James Brunot. He changed the named to Scrabble, and the game was trademarked in 1948. 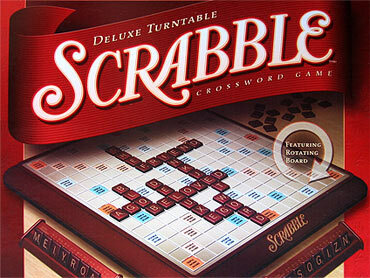 Hasbro controls rights to Scrabble in the U.S., while Mattel markets the game in the rest of the world. More than 150 million Scrabble sets have been sold to date. Although special editions have been created (including a 3-D version with stackable letters, a children's version with colored tiles, and a "scramble" version with letter dice), the basic Scrabble game has been unchanged for 62 years. London's Telegraph quotes a Mattel spokesperson as saying the new changes represent "the biggest news for Scrabble lovers in the history of the game and will provide a great new twist on the old formula." The new version will be introduced in July.